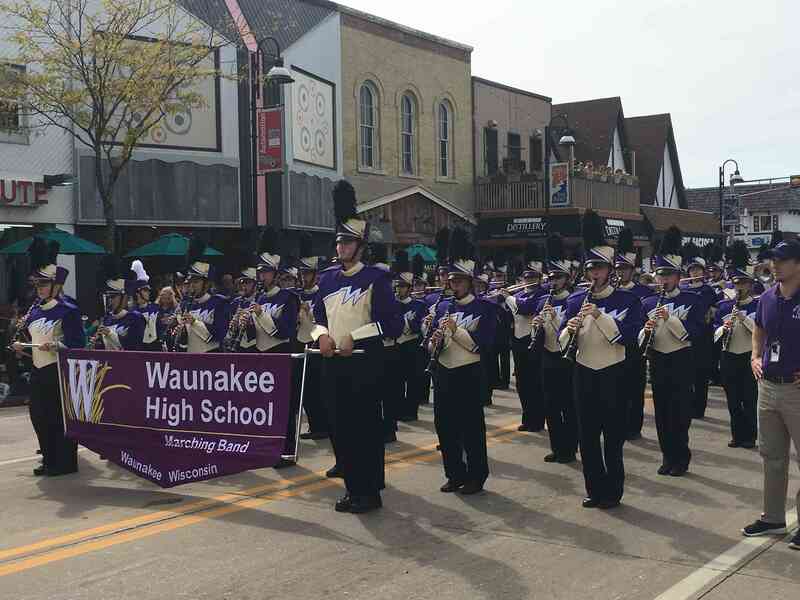 The purpose of this campaign is to replace and refurbish our marching percussion equipment for Waunakee Community Middle and High School. Our percussion instruments are used throughout the year and are shared between the High School in the summer and fall, and Middle School in the spring. Many of our instruments are in disrepair and require continual maintenance to be functional. We are hoping to purchase more light-weight equipment that will be easier to carry, especially for our Middle School students. This campaign will replace our primary set of marching snares, quad toms and bass drums. We would be able to replace our oldest equipment, and refurbish our current equipment for extended use with our increasing enrollment. Donations by check be made payable to WCSD and delivered to the Waunakee High School main office. Make a donation to cover the purchase of one of our marching snare drums and you will be recognized as a donor of that instrument! Your name (or honorary message) will be placed on the instrument, and you will be recognized at a future Waunakee Music event. Make a donation to cover the purchase of one of our marching bass drums and you will be recognized as a donor of that instrument! Your name (or honorary message) will be placed on the instrument, and you will be recognized at a future Waunakee Music event. Donate a set of Quad Toms! Make a donation to cover the purchase of one of our marching quad toms and you will be recognized as a donor of that instrument! Your name (or honorary message) will be placed on the instrument, and you will be recognized at a future Waunakee Music event. Reward None Donate a Snare Drum! Donate a Bass Drum! Donate a set of Quad Toms!